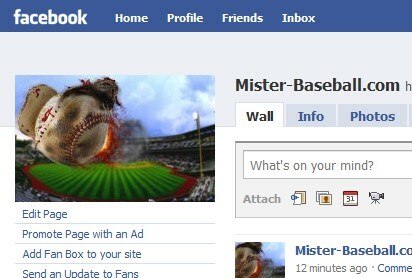 You like Mister-Baseball.com and you’re using Facebook? We now have created a fan page. Become a fan here.